Explore Alexandria and discover the hidden treasures. 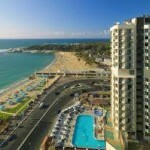 You will visit its attractions in in a full day excursion. Explore Cairo and discover the Great Pyramids, Sphinx, Treasure of Tutanchamun and Egyptian Museum in a full day excursion. 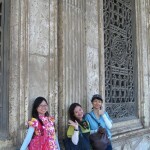 Highlights: Half day excursion will make you discover the major important attractions. Highlights: Wadi El Natrun is an amazing experience to the religious coptic spirit in the desert. 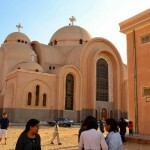 In our trip to Wadi El Natrun, you will visit the famous coptic monasteries in wadi el natrun. 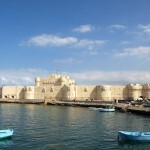 Relax for few days you will get to experience Alexandria attractions and have several city excursions. It is a wonderful city, with its unique spirit in Egypt, you will be amazed with how calm & lovely our city is. 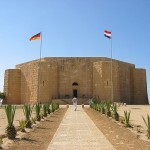 Also we are offering also a variety of day trips from Alexandria to Cairo to tour its famous attraction like the pyramids or the Egyptian museum by car or train, day trip to El Alamein to see 2nd world war museum, day tour to Rosetta or Rashid where we found the famous Rosetta stone which is in British museum now. Opera hours show tour. Special library show. You can enjoy your stay with us in during your tour in Nile River hotels. 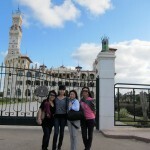 Ramses tours has a range of hotels that you can choose whether down town or near attractions. 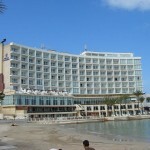 Offers 230 spacious suites and rooms, luxuriously furnished and tastefully decorated. Whichever of our rooms you decide to choose for your stay, you will be assured of the ultimate comfort, tranquility. Sheraton Montazah features a well-equipped gym and free-form pool offering panoramic sea views. Located 10 minutes? walk from El Mandara Railway Station, its rooms have a private balcony. 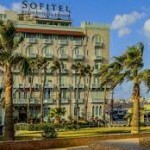 Sofitel Cecil Alexandria has spacious rooms with French beds, chandeliers and carpeted floors and furnishing that match in patterns and colors to create an artistically refreshing setting. You cannot visit without experiencing a sea food restaurant and get to experience the true spirit of our pretty city. Ramses Tours highly recommends that you try sea food restaurants. Conservative attire is recommended when going ashore on this tour. At the museum guests must go two security checks before entering. There is an elevator in the museum, but at times it’s not in operation. However museum personal help carry confined and assistance requiring visitors upstairs. Inside tombs it is not recommended for persons suffering from claustrophobia, breathing, knee or back problems .only 15 persons are allowed in a time inside very narrow , low ceiling corridor where not only they stoop, at times they have to bend their knees as well and the main chamber of the pyramid is totally empty . it is very humid , dark inside . Many vendors sell all sorts of souvenir what is being sold as papyrus at extremely cheap prices are noting but painted banana leaves.